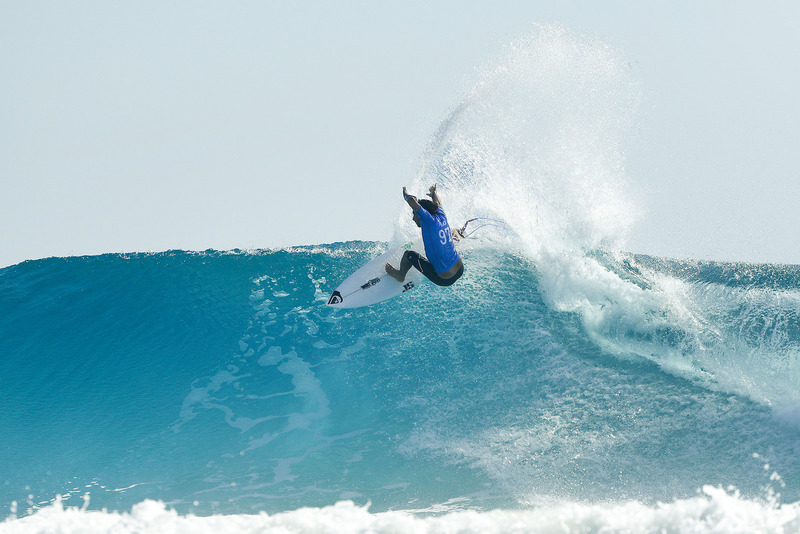 Round two of Snapper Rocks is traditionally rookie day and today was no different. On day one, Frederico Morais was the only rookie to win his way into round three, which meant today the other six rookies were all on show in round two. Snapper was looking positively tropical. Palm trees standing upright in the light offshore breeze as the sun beat down from a cloudless blue sky. For all the offseason talk of this being potentially the best rookie field assembled ever. Zeke bought the heat. Essentially he had mission impossible today. Filipe Toledo at three-foot snapper. Toledo, a 63% (via Fantasy Surf) favourite to win this whole event. The Brazilian buzzsaw is pretty much the last guy out here anyone wants to draw. It was heavyweight versus flyweight in waves much more suited to Toledo. And Zeke still hung him out to dry. It’s really hard not to have primetime Sunny Garcia flashbacks when you watch Zeke surf. Full roundhouse arcs, wrapped tighter than an airport sandwich. And the water displacement! Surfing Life has been craving an old school power surfer in the mould of Garcia or Egan or Margo, and by jeez, we got it in Zeke. … a whole year of watching the Hawaiian man child is going to be pretty grand. Another rookie with a mountain in front of him was Gouveia. He looked like a deer in the headlights in round one. On paper he was the perfect fodder for tour vet, and one time Snapper local, Josh Kerr. Instead it was Kerr who was left scrambling around the lineup looking to strip a little bacon off the pig as his wave choice continually let him down. Gouveia who doesn’t surf fast or incredibly hard, always seems to be on the critical part of the wave and drawing even more critical lines. Everything he does has an extra layer of style to it. Wow, just wow. Connor shall be named henceforth as Wow’Leary. Wow’Leary’s backhand attack is every bit as good as advertised. Does anyone reading this remember the old arcade version of Street Fighter™? You’ll all remember Honda and his hundred-hand slap then. Wow’Leary went all Honda, and hundred hand-slapped Snapper into another dimension. His vertical attack broke the time continuum and entered the fourth dimension. Surfing Life had been told and we’d been warned, that if Connor gets high tide Snapper walls, he can beat anyone out there. But still, actually doing it is another thing altogether. Wow’Leary is like a goofy foot version of Jordy Smith. Big gouging turns, spraying waves to the moon and his beyond vertical hits all down the line. Just like Jordy though, Wow’Leary does it in such a way where you never know what’s going to happen next. We can’t wait to see what he serves up in round three where he draws Julian. Australia’s next great white hope lies in the Andy-esque grom, Ewing. He was outgunned in his round two heat by Stuey Kennedy. He got caught ocean watching – like Joan Duru in the heat before before him. Stuey was on a mission shredding everything all the way down into Rainbow Bay on his futuristic Sci Fi. Not many guys woulda beaten Stuey today on those round two walls. Ewing showed enough on his last wave where he performed one of the best turns of the morning and followed it up with an air reverse. The kid is good enough to not only survive, but win rookie of the year. But he’ll need a result on the Australian leg. Momentum is everything on tour, and for a rookie, garnering early confidence can be the difference between re-qualifying and falling off tour. Where has he been hiding? The WSL needs Barton and his analytic observations right now. If there was ever a replacement for Ross Williams, Barton be his name. Barton said at one point, “a forehand snap cannot match a backhand hit out here today”. He was imploring the regular foots (in the morning session) to head up the point and get barrelled behind the rock and offer the judges something the goofyfoots cannot. And herein lies the paradox of judging pro surfing. All surfing common sense suggests getting barrelled at a bowly point wave like Snapper is where it’s at. Technically speaking, sticking a drop from behind the rock and pulling into a barrel is one of the hardest things to do at Snapper. But yesterday, head judge Rich Porta declared Snapper a progressive turns wave and announced the judges don’t want to see barrels. Um, pardon? The Gold Coast has been built on barrels. Who could forget Shane Beschen’s perfect 30 at pumping Kirra in 1996? All he did was get mindlessly slotted for 30-minutes. The surfers are confused; and we the viewers are doubly confused. Who doesn’t want to see barrels? What surfer doesn’t want to get barrelled? A solution could be to purchase a mood ring and shackle it to Rich Porta’s ring finger. We could run a live telecast of it at all times on the big screen. Blues and greens are good; it means Rich is relaxed and making sensible decisions about point break surfing, and technical barrels are on the scoring menu. Greys and blacks, however are trouble. Head for the hills, because Rich is gettin’ upset, and nobody in the water knows what they should be doing to please him! Words fail us. Which being a written publication is not ideal. Don’t let the fact she lost her heat on a buzzer beater to Carissa deter you. Steph won her heat, she was faster, more critical and Carissa’s last wave was so over-cooked it was black. Blacker than Rich Porta’s mood ring. Steph left right off from her Pipeline Invitational heat where she combo’d both Tyler and Carissa. Her Valium style in the barrel, her turns, her upper body movement. 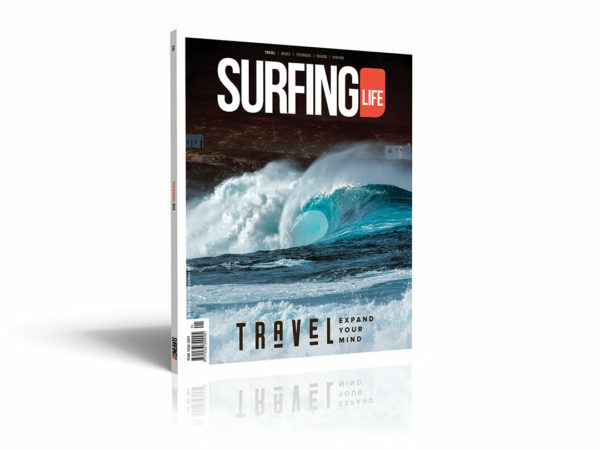 We suggest, all the mums and dads out there that have a grommet who want to surf better. Girl or boy. Get Steph’s heat on demand from today and record it and replay it over and over to them. Because that ladies and gentlemen, is how you do surfboarding.